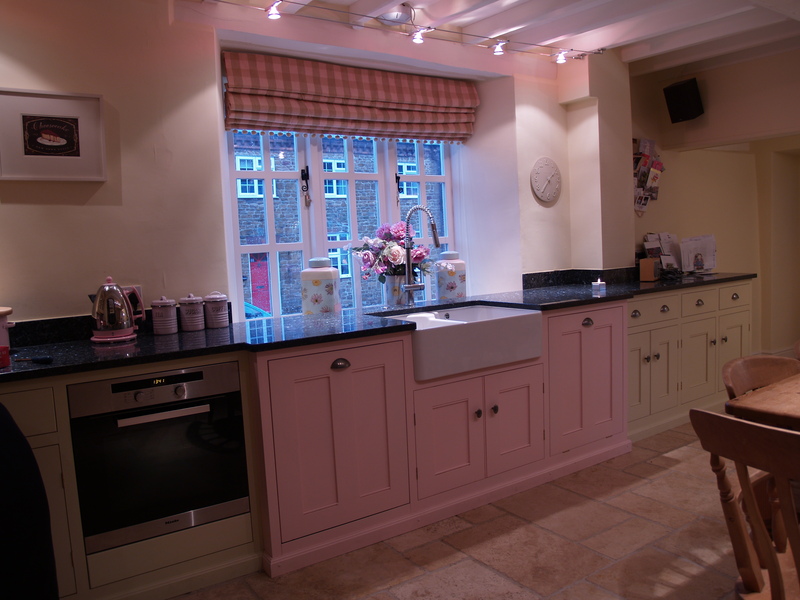 A unique design which combines the modern with the traditional to breath new life into this quaint farmhouse kitchen. 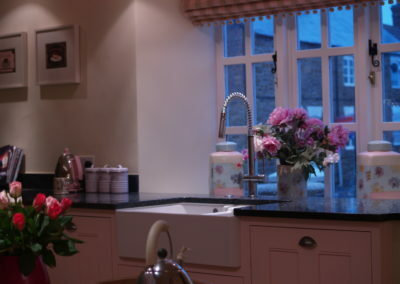 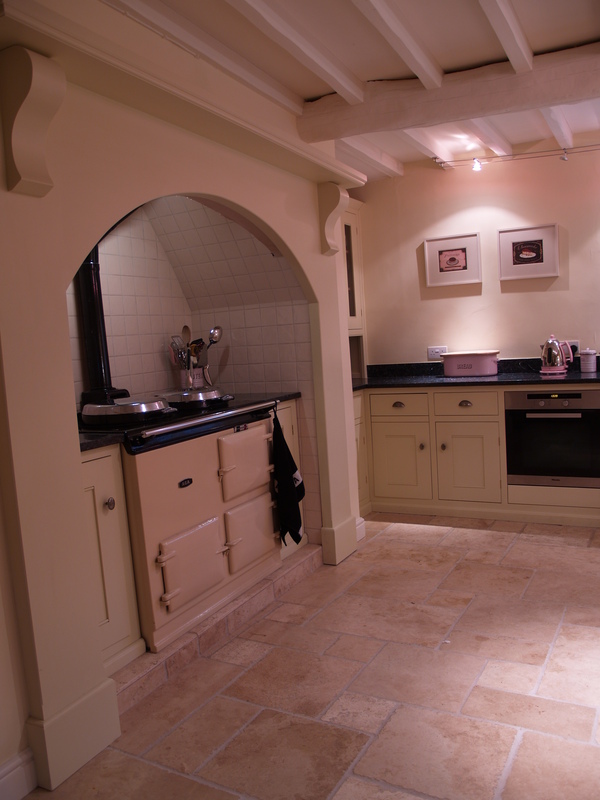 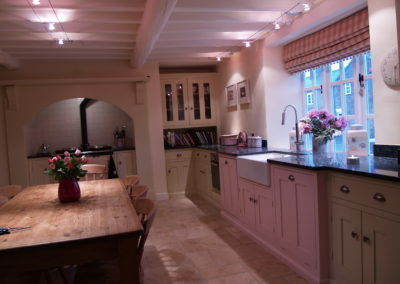 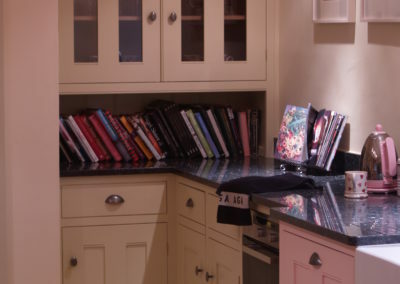 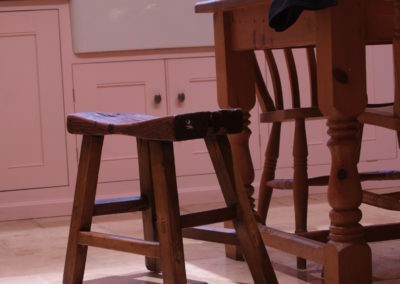 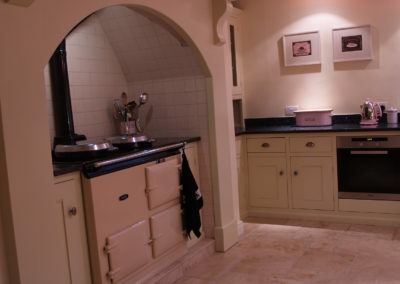 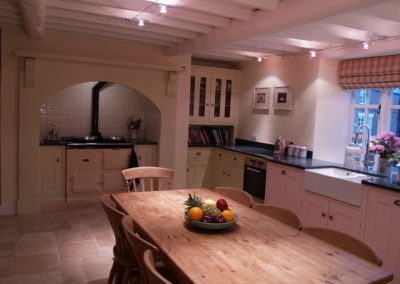 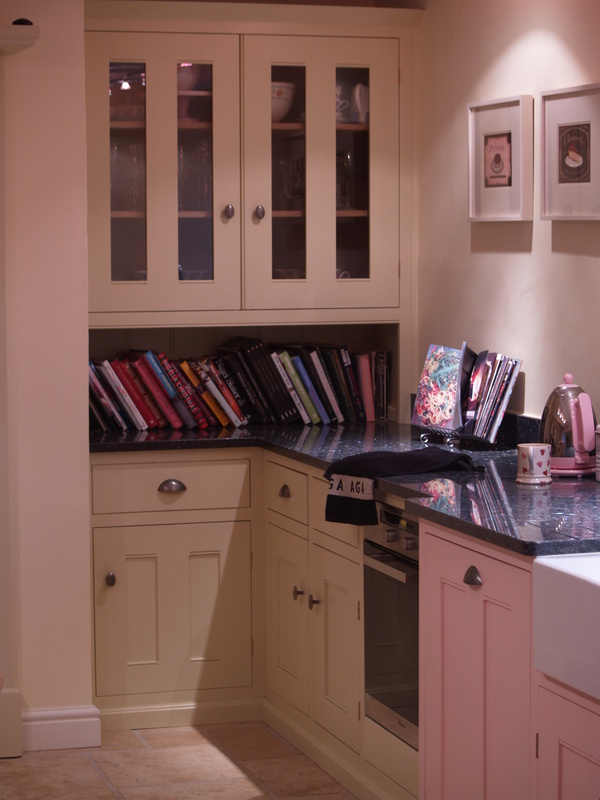 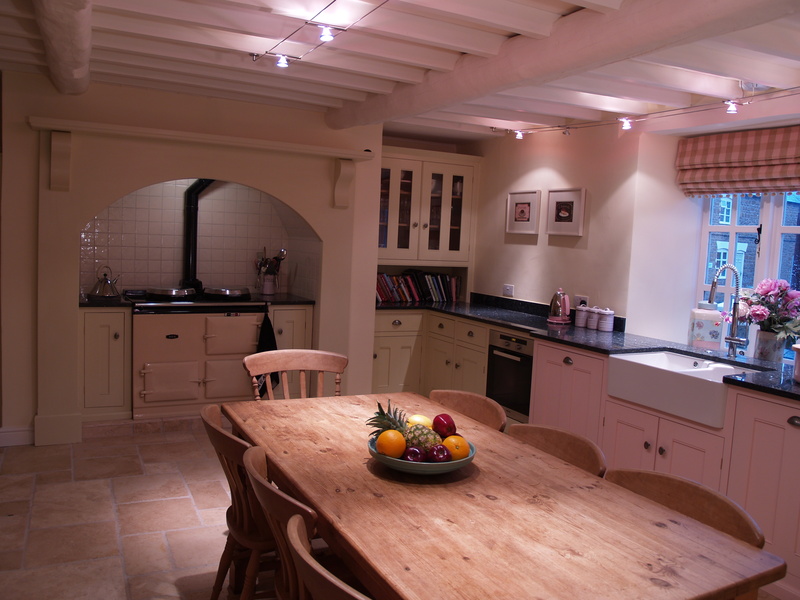 With traditional units that compliment the cream Aga, juxtaposed with the bold, pink sink unit, the oval pewter handles and the pearl blue granite worktops, this design both echoes back to and breaks away from the traditional farmhouse kitchen. 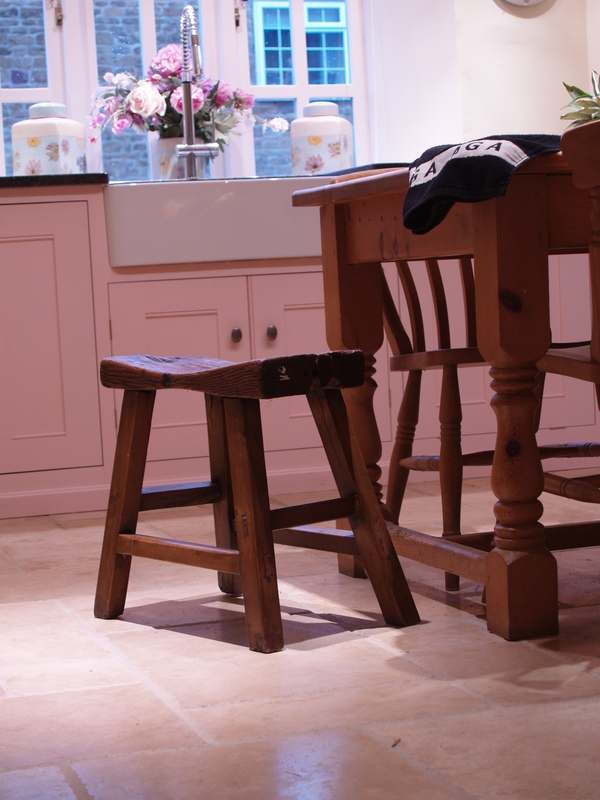 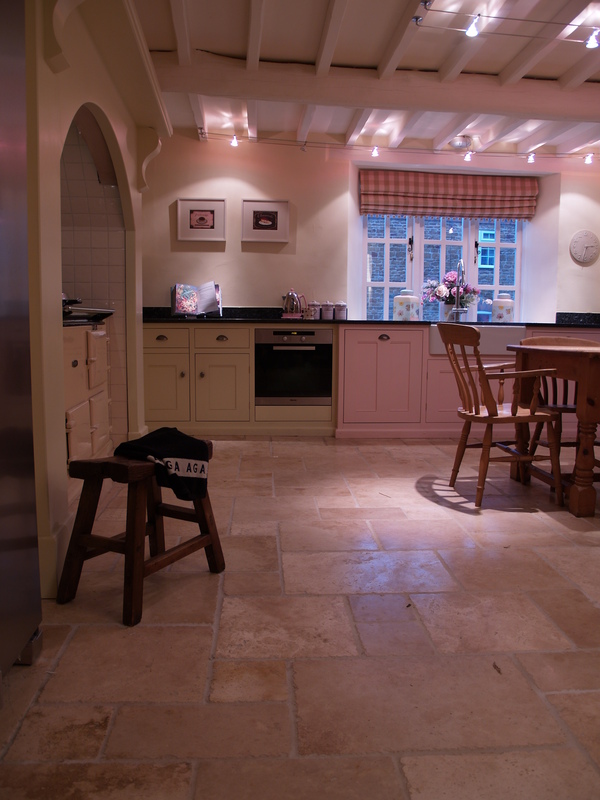 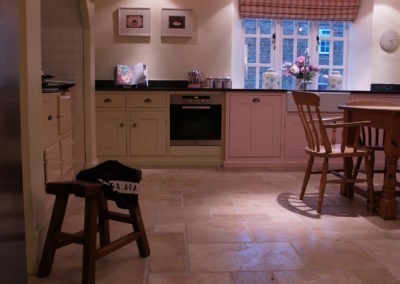 With minimal wall units and the modern limestone floor, this design enhances the sense of space whilst the warmth of the cream units and the traditional farmhouse table create a homely feel and a functionality essential to any family home.